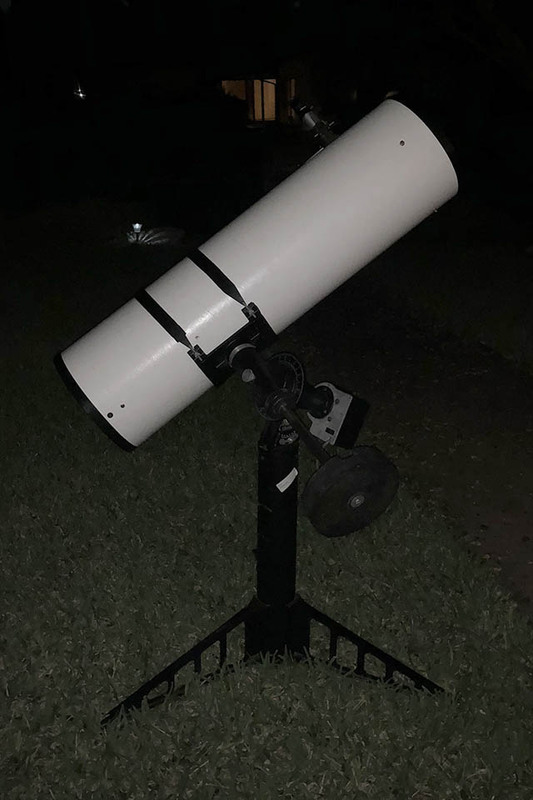 I just finished restoring a telescope from 1992 to useability for the Astronomy classes at Austin High School. The Mead Starfinder 10" equatorially mounted scope is a monster and I can barely move it by myself. Thanks to a cheaply designed secondary mirror spider, the secondary mirror had crashed into the primary. The primary survived with some dings and the secondary lost about a half inch broken off. 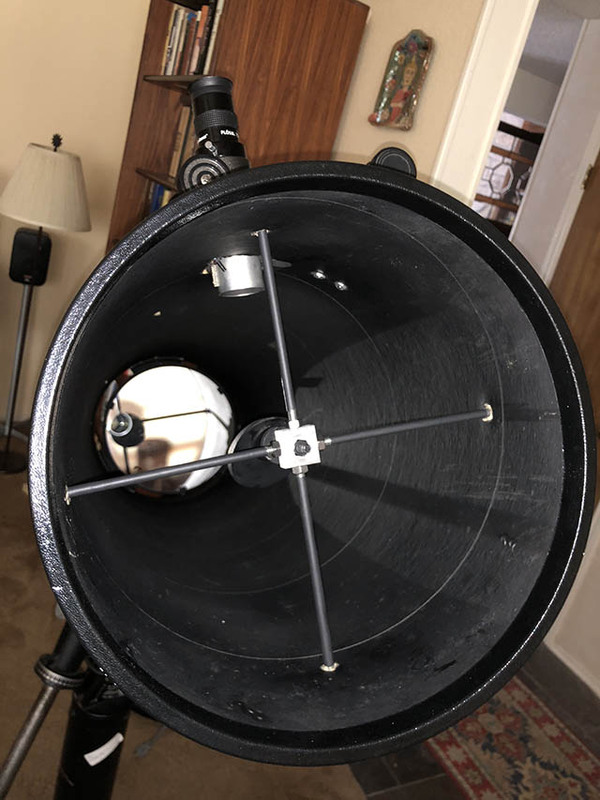 A new spider, secondary, and primary mirror would cost nearly what a more useable 8" Dobsonian mount scope would cost. I decided to make the scope useable again making the most of the existing damaged parts. 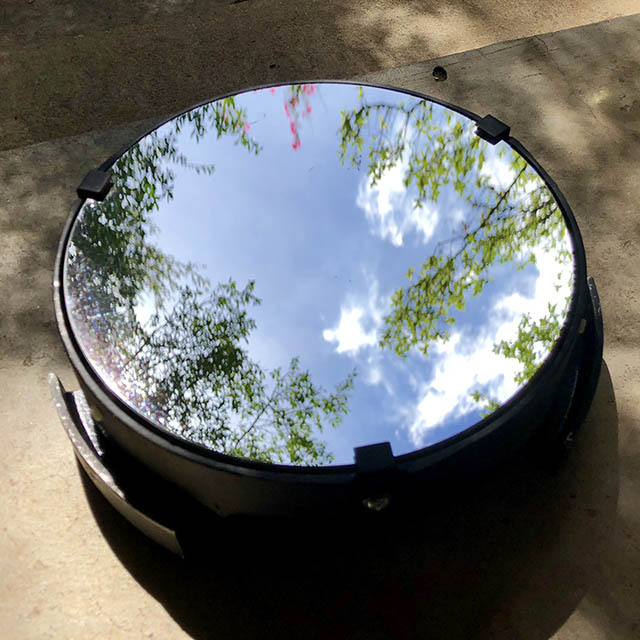 The mirror was filthy but a gentle bath in water and eventually some cotton balls and dish soap, followed by a distilled water rinse cleaned it up nicely. I dabbed flat black paint on the worst of the dings in the mirror to minimize light flares. I repaired the broken spider with epoxy, but then realized that it wasn't simple to place it back in the scope. The cheap pot metal part had been designed to be clamped to the support blades in place in the scope during manufacture. I bet Meade saved a whole two bits on that. This meant that I couldn't install the assembled spider without breaking it again. Plan B was to tap and drill a piece of aluminum and use 1/4 x 20 threaded rod for the spider. I used some black heat shrink tubing to eliminate any light flare from the parts visible to the primary. 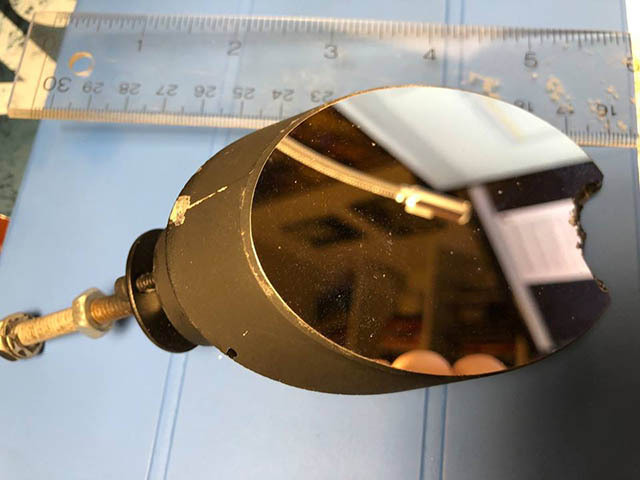 I aligned and laser collimated the mirrors without any issues. Reversing the counterweight so that the heavy end was outboard, just barely got me a good balance and the AC powered tracking motor ran smoothly. I was lazy and didn't disassemble it to move it the 20 feet outside and felt like an ant carrying a piece of lead shot. 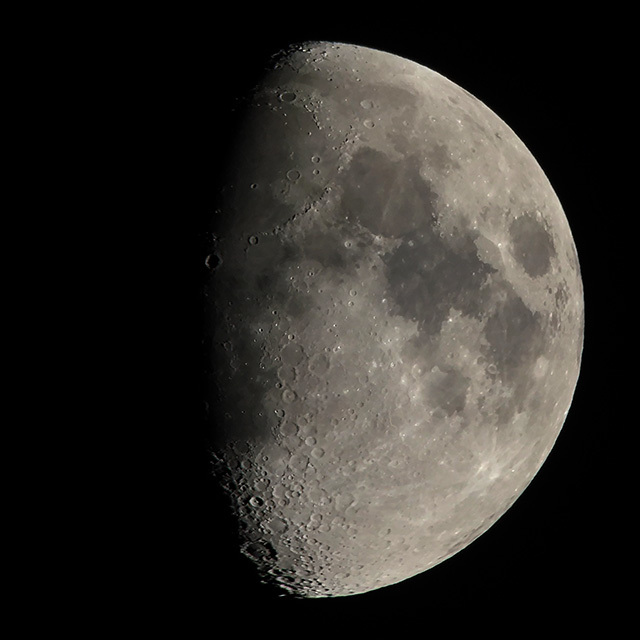 A quick look at the moon showed a nice sharp image with amazingly little effect from the chunk of the secondary mirror that was missing. The AC powered drive motor tracked the moon well. I delivered the scope today to Austin High's inspiring Astronomy teacher, Elise Gonzalez. She will have 250 students this year in her astronomy classes and 20 students in the astronomy club who now have access to a telescope. They will need more!